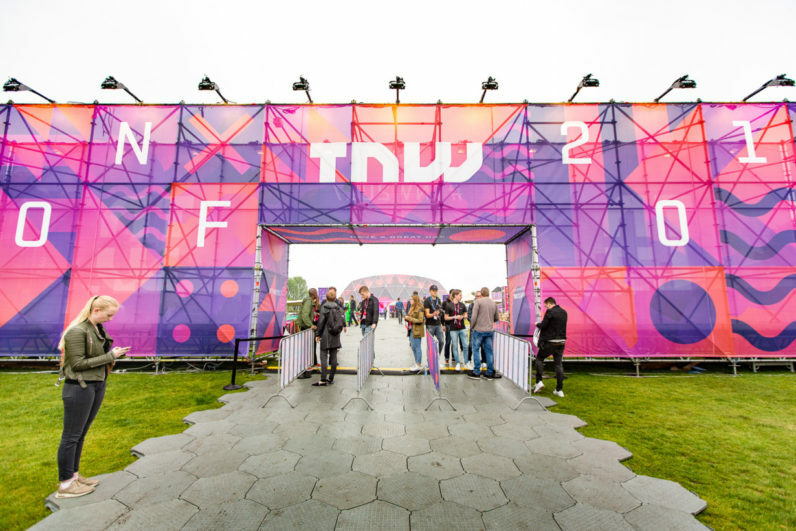 Every year, TNW’s Startup Liaison team interview hundreds of early-stage companies in preparation for TNW Conference in Amsterdam. Across our four programs, we host more than 250 young startups that come to exhibit to an audience of 12,500 decision makers, pitch to high-profile judges, and take part in curated matchmaking. Sadly, every year we’re also disappointed that a handful of truly interesting companies are unable to join us due to a lack of financial support. Providing a high-quality exhibition stand, building a three-floor pitch tower and paying startup support staff isn’t cheap – but it still pains us to turn away companies simply because they can’t cover these costs. So when Radix approached us asking for ways in which their new startup-support program Startup League could help, we had the perfect solution. In February 2017 we launched Tickets to Boost, a campaign to find 14 amazing startups that would get to exhibit at TNW Conference for free – courtesy of Startup League. As part of the 100% sponsorship, each startup received a free exhibition stand, two free tickets and access to our curated matchmaking with investors, mentors and brands. OneSite: OneSite is a platform that lets anyone create their stunning website for free, with or without knowing how to code. Posibillian Tech: Posibillian Tech is a startup currently developing Fhacktions (mobile location based MOBA) and Surprizer (discovery app for emerging artist). DADI: DADI is a powerful, API-first content management platform. It enables real-time, personalized experiences driven by machine learning. Planable: Social media publishing workflows made easy for agencies, freelancers and teams – including planning, collaboration and approvals. Zero 2 Infinity: Zero 2 Infinity is radically simplifying access to Space. YouClap: YouClap’s a challenge dedicated platform, where both content creators and participants are given the proper tools to engage with each other like never before. Kickfit: Uber is for transportation, Airbnb for accommodation, KickFit – for Fitness and weight control. Treat Me At Home: Treat Me At Home connects service providers with people who want those services done at home. Find beauticians, tutors, trainers, and more! OWN gmbh: OWN is a visual data pin board for mixed teams of knowledge workers and artificial agents. OWN is Minority Report come true. FLATLAY: FLATLAY is the platform to advocate or launch a brand in real time — anyone can build a digital storefront in 30s. Bon Voyage: Bon Voyage is a Travel App. It provides a one stop shop in one environment where we can find all information for travel and accommodation. Block Rocking Beats: Connect people in virtual worlds and enable them to enjoy making music together in a seriously playful way. For more information on Startup League and their sponsorships please write to leaguesupport@radix.email.